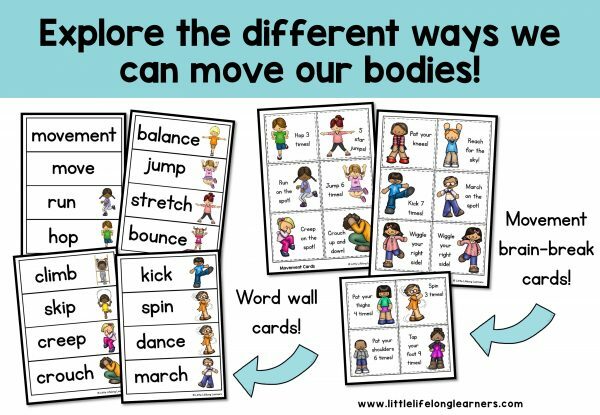 Explore how your body can move in lots of different ways with this set of simple Science printables! Your little learners will love exploring how our bodies move in many ways with this fun and engaging packet! Perfect for your Science curriculum, this packet features engaging activities like movement cards, mini sight word books, graphic organizers and more! 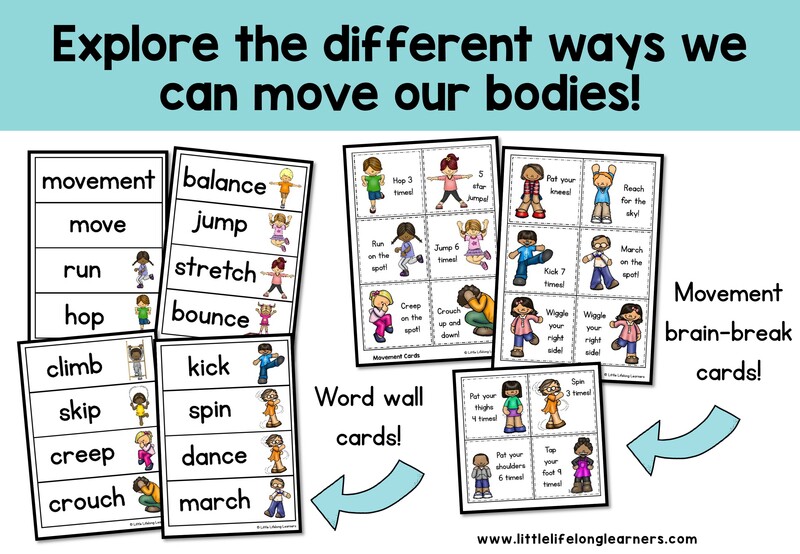 Featuring 24 pages of simple printables, your students are sure to love learning about the different ways our body can move! 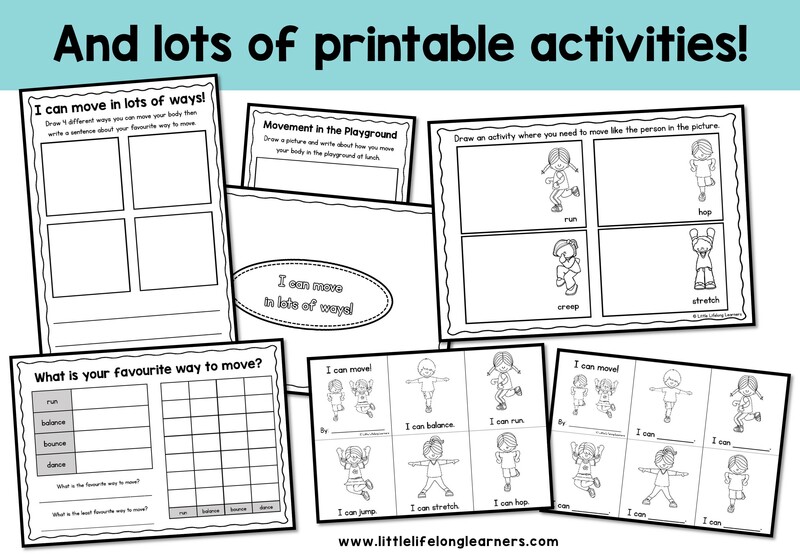 “I can move in lots of ways” printable – draw 4 ways to move and write about your favourite! “I can move!” mini sight word book (eg I can balance. I can run. etc) completed and blank so that students can fill in the missing movement word. 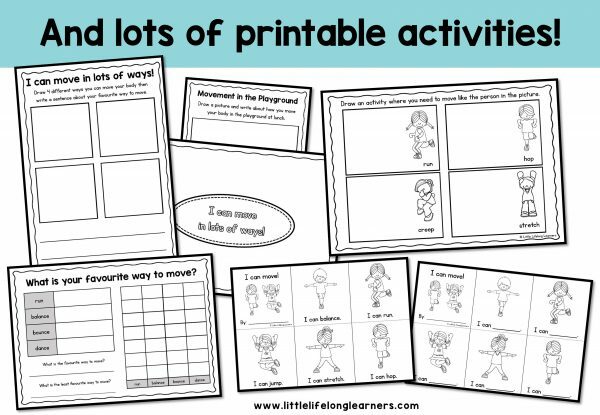 Your little learners will love learning about how our bodies move with these fun hands-on activities and printables! This packet is the perfect supplement to your movement unit of work. While I design my resources with Australian students in mind, I also include alternative US spelling too.